Let’s give some customize option to our end user to sort the report output as per their choice. Step2. 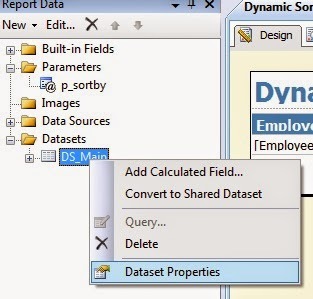 Now we need to write our query in a dynamic fashion in dataset. 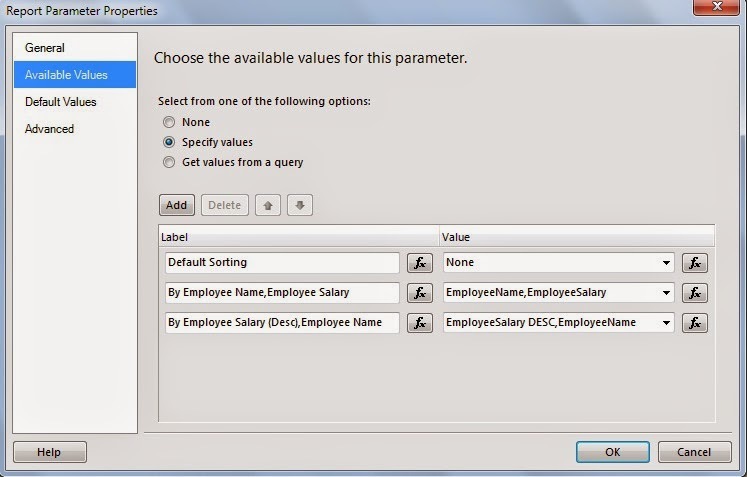 So open your dataset properties and under query window, specify your query.